Many books for very young children consider the fear that a child experiences when they cannot identify the nature of a threat. Often this type of threat is simply not knowing, what lies within a place, or beyond a boundary to their known territory and world. But it can also relate to ideas and concepts beyond the limits of their current understanding. How children face up to these many fears, and the way they deal with them, helps to shape them as they grow up. What distinguishes this group of books is not just that they address fears but that their characters conquer them or move towards controlling them, learn from the experience and move on. For the very young child books like Jez Alborough's book 'Where's My Teddy' is a lovely example. Eddy cannot find his teddy (whose name is Freddy) and heads off alone to the forest to find him. He becomes lost in the forest that is "dark and horrible in there". "Help!" said Eddy. "I'm scared already! I want my bed! I want my Eddy!" And then a surprise, for something that is potentially dangerous to Eddy (a big bear) has some fears of his own. They face their fears together before retreating to the security of their own familiar surroundings. 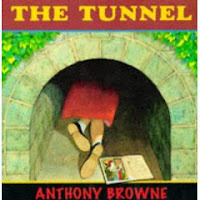 Anthony Browne's picture book 'The Tunnel' (1989) is a little more complex and tells the story of a brother and sister. The sister is the 'inside type' who loves reading alone and 'dreaming'. Her older brother loves the rough and tumble of the outdoors. He teases and scares her for fun, but one day after he coaxes her into a tunnel she faces some new fears that she conquers with the help of her brother and in the process their relationship is strengthened. 'The Wolf', written by Margaret Barbalet and illustrated by Jane Tanner (1991) shows vividly how the effects of the fear of the unknown can be crippling. Tal hears sounds in the night that to him are the sounds of a wild wolf. The text of Barbalet and the illustrations of Tanner combine in a masterful way to leave the reader wondering whether this is the story of a real wolf or an imaginary one. Tanner's wonderful paintings show a family imprisoned by the fear of a wolf that comes closer and closer each night. However, finally Tal confronts his fear and the family is released from its grip on all of them (parents will relate to this as well). 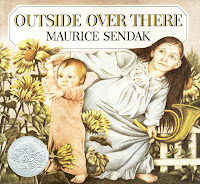 Maurice Sendak’s Caldecott Honour book 'Outside Over There', is a strangely haunting story that at one level tells the story of a baby that is kidnapped by goblins from the care of her sister (Ida), while her father is at sea and her mother is in the Arbor. But at a deeper level Sendak addresses the psychological struggles of a child coping with the unwanted responsibility of looking after her baby sister and her failure to do it well. Some suggest that the story could also show one child's dreadful fantasy of what it might be like to be an orphan herself - to be left alone. 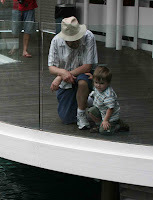 There are parallels here with Sendak’s own life (he has said he identifies with the baby). Some will ask, as always, is this a children’s book? Yes, but it has depth that would keep university English majors busy for weeks. Is the fear conquered in the story? I think so, as Ida rests in the knowledge that her father "loves her always". A simpler and more straightforward fear is of the monster that lurks in the shadows of one's room at night. Probably every child faces this fear of the shape or shadow that in the dark seems so threatening, but with first light is strangely familiar. A classic example of this is Mercer Mayer's well-known classic There's a Nightmare in my Closet. This is the story of a little boy who has fears for a 'nightmare' that lives in his closet. He shuts the door each night as he goes to sleep. One night he decides to conquer it by staying up and shooting it with his popgun. But when he meets his 'nightmare' he realises that the imaginary monster that is the nightmare is also frightened of the unknown. The video clip below is a reading of the book by Billy Crystal. The fear of death has overlaps with the above but it is so important that I've given it a sub-theme of its own. The most basic of fears is the fear of dying and death. I've written on the general theme of death before on this site (here). 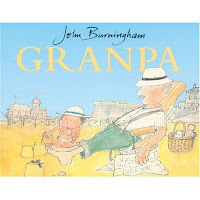 There are many books that deal with the experience of death including Hans Wilhelm's I’ll always love you, John Burningham's Granpa, Robert Munsch's Love You Forever and Tomie de Paola's Nana Upstairs and Nana Downstairs. But here I want to draw a distinction between coping with death and actually 'conquering' it. Most of the above books deal with the experience of death and the message that death is an inevitable end to life and that for those who are left to grieve, ultimately life goes on when we lose loved ones. For those who have a faith that sees life beyond death, this will lead to a different treatment. For example, the Christian will teach their child about God's promise of eternal life for those who place their faith in God's son Jesus. When most writers deal with the subject they rarely seek any type of metaphysical solutions to the problem of death. But a few try something a little more ambitious. Maurice Sendak does this in his mysterious picture book 'Dear Milli' which is based on a story by Wilhelm Grimm. This complex fairy tale (a challenge for adults let alone children) was rediscovered in 1983 and is a tale designed to teach that life can be unpredictable and can have a darker side. It tells of a young widowed mother, who fears for her daughter when invaders come. She sends the child to hide in the forest for three days where the girl becomes lost, prays to God and eventually meets St Joseph who appears as a kind old hermit. Three days (thirty years earth time in the book) later St Joseph sends the girl back to her mother, who longs to see her once more before she dies. Like many of Sendak’s works, this picture book can be viewed from multiple perspectives. There is a surface-level narrative that most children will follow, but there are other 'layers' to mine. But there is an exploration of death and dying with references to the life beyond this earth. Some literary critics also point to the echoes of the myth of Persephone and Demeter, while others point to the underlying interpretation of Sendak’s illustrations as a pointer to a message about the Jewish holocaust. 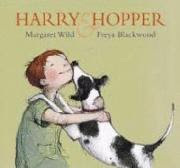 A simpler example of how a child copes and then learns from his experience of death is 'Harry & Hopper' written by Margaret Wild (illustrated by Freye Blackwood). Harry's dog Hopper is killed and he struggles to accept the loss. "Would you like to come and say goodbye to Hopper before I bury him?" asks his father. "No," said Harry, and he turned the TV up louder. Harry tries to hide from the truth of Hopper's death and doesn't tell his friends about him being killed. But Hopper comes back to visit Harry in his dreams and he has a chance to say goodbye. Now he is able to acknowledge that Hopper is gone and in Blackwood's last drawing Harry visits the grave. Here at least there is some resolution for Harry in dealing with his pet's death. Many books deal with how individuals cope with real dangers in their daily life. Each of these generally conclude with the main character coming to a new understanding of themselves and their world, that will help to equip them to deal with future problems. 'The Biggest Bear', by Lynd Ward (1952) is a beautiful book, with detailed pencil drawings throughout. It tells the story of a small boy named Johnny who lives on a farm close to the woods and who decides that he must deal with a great bear who had once threatened his grandfather. But in a real twist, instead of shooting the great bear, he ends up befriending it. Bill Peet's wonderful book 'Cowardly Clyde' (1980) tells the story of a brave (is that foolish) knight named Sir Galavant and his stead (Clyde). Sir Galavant sets off to kill a dragon that is terrorising the territory, but Clyde is reluctant. The dragon is found but unfortunately it is Clyde that needs to be the brave conqueror not his master and in the process he learns new lessons in the face of great danger. There are a number of children's books that deal with the threat of other children, usually with a focus on bullying. Some of these stories deal with animal characters and some with children. 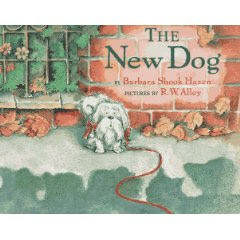 Barbara Shook Hazen's book 'The New Dog' (1995) tells the story of Tootsie, a small white dog whom Miss Pettibone pampers. But Miss Pettibone sends Tootsie off to Danny's Dog walking Group where he learns that life can be tough and other dogs cruel. Tootsie is the new dog trying to break into a group of canine friends who enjoy picking on him. And of course, he has to prove himself. In similar vein, Al Perkins 'The Digging-est Dog' tells the story of Duke who is rescued by Tommy Brown from the pet store to live on his farm. Duke is introduced to the local dogs and is well received until it becomes obvious that he cannot dig. In trying to prove himself to his mates Duke overshoots the mark and causes problems for his master. But ultimately there is a resolution. Judy Blume's book 'Blubber' is a classic book for primary aged children that deals with bullying. Jill joins in with the rest of the fifth-grade class to torment a classmate, but she finds out what it is like when the tables are turned on her and she becomes the target. Another common fear that children and adults face is the fear of being isolated and alone. One of the best examples that I know of is Jan Ormerod's wonderful picture book 'Lizzie Nonsense' (2004), which was rightfully awarded a Children's Book Council of Australia honour book in 2005. Lizzie lives with her mother, father and baby sister in almost total isolation deep in the Australian bush of the late 19th century. When Lizzie's father heads off for days at a time to cut timber, they are left alone and wait expectantly for his return. 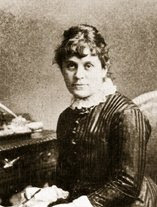 Lizzie copes by living in her own fantasyland that her mother sees as "Lizzie nonsense". Her mother protects herself and her family from the perils of the Australian bush as they await the first sign of dust in the distance, telltale sign of their father and husband's return. The books strength is the way it portrays the separate experiences of isolation by all family members and how they cope in their different ways. All children at some time will have to deal with the loss of something special. 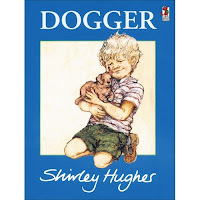 One of my favourite examples of a book that addresses this sub-theme is Shirley Hughes' wonderful story 'Dogger' (1977). This is a favourite with my grandchildren. Dave loses his favourite soft brown dog that he calls 'Dogger'. He searches everywhere without success and has to go to bed without him. The whole family joins in the crisis as they seek to find Dogger for whom there is no acceptable substitute. The next day Dave discovers Dogger at the Summer Fair on a stall for sale, but he doesn't have the 5p needed to purchase him and another little girl buys him first. Eventually the problem is solved with Dave's sister Bella unselfishly saving the day by swapping a brand new teddy that she has won to get Dogger back. 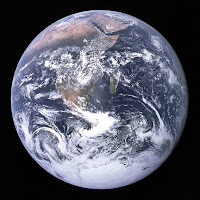 In a recent CNN news report John D. Suttor reports (here) that according to Global Language Monitor 'Web 2.0' was declared the millionth English language word on Wednesday 10 June. Global Language Monitor is a web site that uses a mathematics formula to estimate how often words are created. If we could be sure that this was the millionth word (which we can't) it would perhaps be fitting given the proliferation of new words in the last 10-20 years generated by the establishment of the Internet. The 'Million Word March' has not been well received by linguists who see the notion that you can track the creation of words mathematically as nonsense. Language is always changing. But the man behind the counter Paul J.J. Payack argues that what is more important than just counting words is the idea that the idea that English is a complex global language and unlike some other languages (e.g. he cites French) is less concerned about ring fencing their vocabularies. Australians love inventing words. In fact one of my favourite radio presenters (Richard Glover) invented a program segment on ABC radio that is devoted to listeners inventing a new word each week to fit a specific definition. For example, the new word listeners created for that sense of joy and elation when you find a parking space right outside where you need to go, was named "autopia". 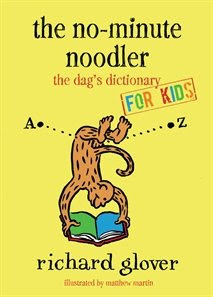 He has even published his 'Dag's dictionary' (here) and the adult version led to a kid's version with such classic new words as 'Dinobore' - a word for the kid who can't talk about anything other than dinosaurs (kids version here). NOTE: a 'dag' can mean dried dung on a sheep's rear end. But in this instance it means 'an amusing person', so to be called 'a real dag' would be seen as a nice comment not an offensive one. There is no doubt that English is a constantly changing language, but so are other languages. In fact, different languages borrow from one another. English has partly succeeded in becoming such an international language because it has incorporated so many words from other languages (e.g. Latin, French and German). Its users have also been good at adapting, combining and cannibalising words. But English has changed not just in terms of vocabulary. Even the way we spell words has changed over time. 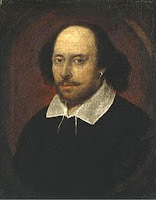 Many like to cite William Shakespeare's multiple spellings of his own name as an example of the variability of spelling by individual language users, let alone across generations of writers. Even the way we pronounce known words changes over time. It has been interesting to note Australian news readers in the last year suddenly observing the 'n' in columnist after treating it like a silent letter for generations. Finally, what is seen as acceptable grammar may change over time. A relatively recent change has been the demise in concerns over split infinitives. Many people have also given up the practice of trying not to end a sentence with a preposition. Many will be aware of Churchill's famous statement - "This is the sort of nonsense up with which I will not put" - which some assume he used to make fun of those who try to avoid putting a preposition at the end of a sentence. Others think he was serious. The point is that we can take rules too far and that even grammar changes. There is of course always a need to vary language according to purpose and audience, some of which demand (and deserve) standard English conventions. But language use varies across language registers. A 'register' is a variety of language used for a particular purpose or in a particular social setting (see Halliday and Hasan's classic work on 'Cohesion in English'). If you are giving your first address to the local Toastmasters' Club, the language will be different to that which you use with the under 16 baseball team that you coach after school. Similarly, in written language the specific written genre (i.e. a text structure that reflects a specific purpose and audience) required will change the way you use language. While there is a need for conventional spelling, pronunciation, grammar and vocabulary and conformity to language registers and genres to enable effective communication, language is adaptable and is always changing. This should be seen as a natural part of any language not a weakness. Building on what has been said above, I want to argue that language 'play' is important for children's language and literacy development. One of the most important things about early language and literacy development is the need to encourage creativity and inventiveness. No, I'm not talking about encouraging invented spelling and sloppy word pronunciation (although there is a place to allow the young writer to feel free to use approximate spellings when doing free writing); I'm talking about children being encouraged to experiment and have fun with language. Incy wincy spider climbed up the waterspout..
Children also like to invent new words or play with known words. I can't play with my grandchildren without us inventing new names for toy animals, cars, dolls, stuffed animals, insects. We create imaginary monsters like Schlickleback and Wontilbong and assign names to cars that match their colour, shape and 'personality', or use alliteration to help us (me!) remember them. Willy is a white car, Billy is a blue one and Greg is a green one. But we also combine words to invent our own new 'English' words. My grandchildren all know what a 'Huggle' is (it's a combination of a cuddle and a hug), and I grew up knowing that to be 'splificated' by my maths teacher was not good. Who knows when and how this 18th century nonsense word became a mainstream transitive verb, but I suspect it's origin was as part of word play. Children's love of nonense, repetition, and inventiveness with words is something that many children's writers use to great effect. The master of course is Dr Seuss and when this natural love of language play meets written language in like form you ofen find a level of reading engagement that surprises you (here). Children will seek out joke books (for example), rhymes, chants and read almost any book that does outrageous and inventive things with words. I've written a previous post on the use of humour in literature (here). Language play and inventiveness is good for children's language development, creativity, thinking ability, reading and writing. As I have written on this blog before children's literature awards are given in many countries each year (see related links to other awards below). In the United Kingdom, the key award for children's illustrated books is the Kate Greenaway Medal. 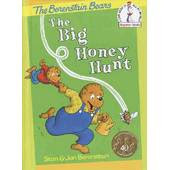 This award was established in 1955 for distinguished illustration in a book for children. It was named after the popular nineteenth century artist known for her wonderful children's illustrations and designs. The medal is awarded by the Chartered Institute of Library and Information Professionals (CILIP). The winner receives a golden medal and £500 worth of books to donate to a library of their choice. Of course, the prestige of winning the award guarantees significant international sales and helps to establish the career and reputation of the winners. As well, since 2000, the winner has also been awarded the £5000 Colin Mears Award which is possible due to a bequest from the person after whom the awards are named - Colin Mears. The following books have been nominated for the medal in 2009. The winner will be announced on the 25th June. Paul Gallico’s classic story is set in the years running up to the evacuation of Dunkirk during the Second World War. It tells the story of Fritha a young girl who finds a wounded snow goose, and a recluse by the name of Rhayader who nurses it back to health. Barrett's understated illustrations have a softness that woks well and reinforces a strong sense of place. 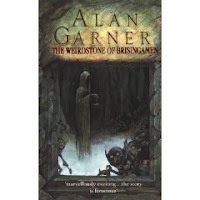 This is a very unusual text by Helen Ward with stunning artwork from Marc Craste. It is a mysterious tale of a world that is in need of protection, and those who love it enough to try to ensure its renewal. Its almost surreal illustrations and haunting text seem to work at various levels. 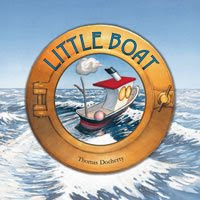 Little Boat is small but independent and determined craft that sails bravely on no matter what dangers he faces. Docherty uses a simple palette of colours and style but manages to create a strong sense of a small boat in an ocean of changing moods. Will is the only one to notice when a bird lies injured on a crowded city street. He stops and helps, and in the process learns how to heal a broken wing. Graham always uses simplicity to express strong emotions. Once again he succeeds in creating a wonderful book where text and illustrations support each other effortlessly. Bob Graham was born in England and now lives in Australia and so this book is also shortlisted for the Australian Children's Book Council awards as well (see here). You can read my review of his work here. A small boy finds himself stuck on the moon; but perhaps he is not alone. Is there an alien nearby who is about to eat him? But the twist is that this alien is friendly and they need each other if they are both to get back to their homes. 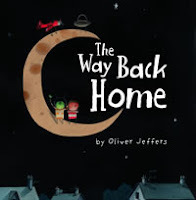 Somehow with very simple stick-like figures Oliver Jeffers conveys rich emotions in some lively illustrations. This is David Almond's story of Blue Baker, a young boy whose father dies of a heart attack. The school counsellor, Mrs Molloy, encourages Blue to use writing to help deal with his grief. But Blue doesn't find this helpful. 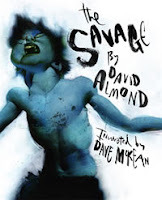 Instead, he begins writing creatively the story of 'The Savage', a wild boy living in the woods who has many adventures and wins out against bullies. He begins to realise that sometimes the boundary between life and fiction is rather blurry. 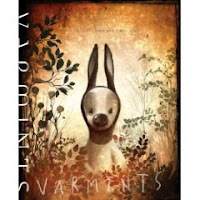 The illustrations by Dave McKean add greatly to Almond's text with contemporary drawings that capture your attention. 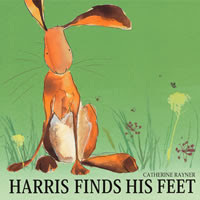 Harris is a small hare with huge feet who goes out with his Grandad and finds out how to hop way up into the sky, climb the highest mountains and run extremely fast. This is a simple text for preschool children with an effective text with illustrations that are simply beautiful. Molly wakes up in the middle of the night and hears sounds on the stairs; her imagination is running away with her. Is it a bear, a crocodile, a hippopotamus or a monster? Molly learns to be brave to solve the problem. 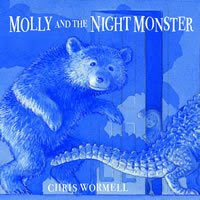 Using stunning blue colours to communicate the night and a varied sense of light Wormell achieves what few illustrators would attempt, a brilliant effect using an unusual technique. The full list of previous Kate Greenaway medal winners can be found here. 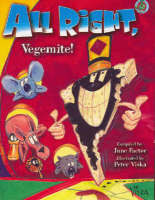 Children's Book Council of Australia (CBCA) shortlist for 2009 (here). Newbery & Caldecott Winners 2009 (here). All my previous posts on children's literature (here). Re-reading is the practice of reading a book more than once. Some readers will read a favourite book over and over again. I am not speaking of boring repetitive reading of simple readers designed only to teach words or sounds, but rather repeated encounters with books that have given us pleasure and which offer us familiarity and predictability. As an aside, I'm not criticising the best examples of books with repetitive rhyme and simple vocabulary, of the type that Dr Seuss mastered. 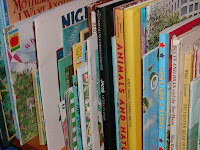 These can also give enormous pleasure and can be helpful for beginning readers. The desire to re-read books, or to hear books again, emerges very early, as the preschool child discovers that books give pleasure when re-read. Every parent has experienced the toddler's desire to hear their favourite book many times. We see this in the three year-old who wants to read every Berenstain book several times at a sitting, or the 12 year-old who reads her favourite Betsy Byars' book over and over again. This return to the same story can bring amusement, joy, suspense and challenge each time it is read. The attraction of reading a complete series of books by the same author, is linked to the pleasure of having read a book within the series, and the prospect of reading another similar one. This is the desire to read (for example) the next Harry Potter story to see where familiar characters take us. Or, the fun of discovering what new adventure might just happen to be at the top of the Faraway Tree. It seems that there is a book series for every child, with limitless options for children of all ages. To name just a few, we have Enid Blyton's 'Faraway Tree' books, Stan and Jan Berenstain's 'Bear' books, Lucy Boston's 'Greene Knowe' series, Jeff Brown's 'Flat Stanley' books, Walter Farley's 18 'Black Stallion' books, Allan Garner's 'The Stone Book' quartet, Ursula Le Guin's 'Wizard of Earthsea' trilogy, 'The Chronicles of Narnia' by C.S. Lewis, Hugh Lofting's 'Dr Dolittle' series, Lois Lowry's 'Anastasia Krupnik' series, Emily Rodda's 'Deltora Quest', J.K Rowling's 'Harry Potter' series, Donald Sobol's 'Encyclopedia Brown' series, Laura Ingalls Wilder's 'Ingalls family' series, or Patricia Wrightson's 'Song of Wirrun'. I could list dozens more but for a wonderful list you can consult online, go to one of my favourite libraries (where I used to take my children when living in Indiana), the Monroe County Library in Indiana (here). What is it that makes us want to re-read a well-loved book, or read a complete series of books? This seems to be counter to the modern tendency to constantly search for the new and the novel. These two different types of reading reflect similar needs in the reader and have related benefits. How do we explain this? What makes a child want to hear the same picture book over and over again? The love of repetition seems to be ingrained in children. And it is certainly ingrained in the way children learn to read — witness the joyous and maddening love of hearing that same bedtime book read aloud all over again, word for word, inflection for inflection. Childhood is an oasis of repetitive acts, so much so that there is something shocking about the first time a young reader reads a book only once and moves on to the next. There’s a hunger in that act but also a kind of forsaking, a glimpse of adulthood to come. They desire a repeat of the pleasure that they've just had. With repetition the task of reading becomes simpler and faster due to the familiarity of characters, plot and language. The reader/listener can see new things when freed from the restraints of the new or the novel. Re-reading offers the opportunity to reflect on and savour the language, the richness of the characters and the events that these characters have experienced. Repetition creates 'more space' to engage at the personal level and become 'lost' in rich intertextual experiences as they relate the events of the book with those in their own lives, and other books, films and television that they have experienced. All of the above are good reasons for re-reading books, or for reading book series. All these benefits have a positive impact on the developing reader; and arguably (as Klinkenborg suggests) even for adult readers. There is also great benefit in extensive experience with varied authors and genres, but there is a downside if children move too quickly in their reading experiences. A balance between variety, and the benefits of re-reading and the increased certainty of the book series, seems to be beneficial for most children. Teachers and parents have a key role in guiding young readers as they experience the joys of literature. This role includes helping them at times with book choice (see my previous post on this topic here) and encouraging them to enjoy the pleasure, comfort and predictability of repeated readings or book series. You can read Verlyn Klinkenborg's article in the New York Times here. Previous posts on children's literature here.